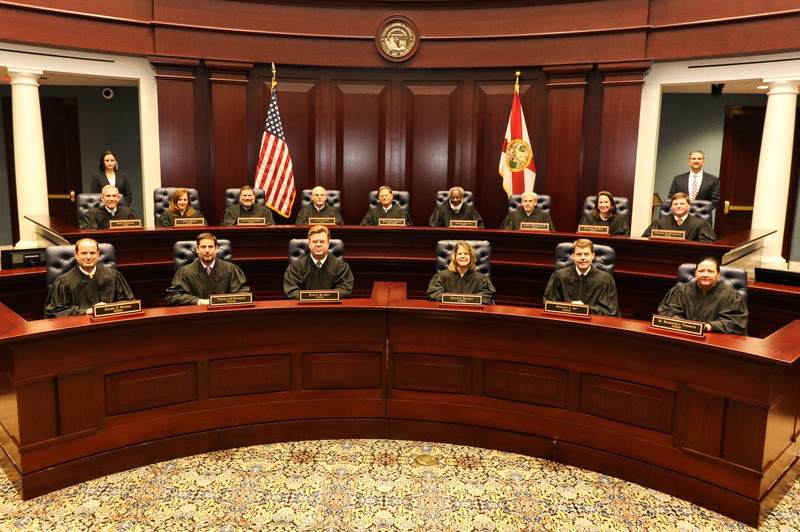 Judge, District Court of Appeal, First District, 1994-present; Chief Judge, 2010-2013; Hearing Officer, Florida Division of Administrative Hearings, 1977- 1994; Research Aide (Law Clerk) to Justice Joseph W. Hatchett, Supreme Court of Florida, 1975-1977; Assistant Public Defender, Twelfth Judicial Circuit of Florida, 1974-1975; Interim Assistant Professor, University of Florida College of Law, 1972-1973; Law Clerk to Chief Judge William A. McRae, Jr., United States District Court, Middle District of Florida, 1972; Staff Attorney, Florida Rural Legal Services, 1971; Instructor, Boston University School of Law, 1970-1971. J.D. with Honors, University of Florida; Order of the Coif; Birch Award; Phi Kappa Phi; Honorary University of Florida Law Center Scholarship; American Jurisprudence or other "book" Awards: Jurisprudence, Law and Medicine, Commercial Paper, Evidence, Constitutional Law, State and Local Taxation. Member, Supreme Court Local Rules Advisory Committee (2010-present); Member, Judicial Ethics Advisory Committee (2003 to present, Chair 2006 to 2007); Member, Juvenile Court Rules Committee (2003 to 2006), Rules of Judicial Administration Committee (2004 to 2009, Chair 2007 to 2008), Committee on Appellate Rules (1987 to 1988, 1996 to 2003), and Code and Rules of Evidence Committee (1995 to 2003); At-Large Member for the Appellate Bench, Florida Court Education Council, (2001 to 2004); Member, Rules Committee, Florida Bar Administrative Law Section (Chair 1984 to 1986); Editor, Florida Bar Journal Administrative Law Column (1987 to 1989); Member, Executive Committee (1995 to 1996) and Committee on Designation, Administrative Law Section; Faculty Advisor, National Judicial College; Member, Florida Bar Association, since 1970; Member, William H. Stafford Inn of Court (2003 to present); Member, Tallahassee Bar Association, since 1976. Habitat for Humanity, Tallahassee Construction, Design and Site Selection Committee (1984-84, 1992); Member, St. John's Episcopal Church (Vestry 1996-99, 2005 to 2007); Member, Rotary Club of Tallahassee (Board, 1997-99); Member, Florida Committee of the Hurricane Island Outward Bound School; Board Member, Holy Comforter Episcopal Day School, 1984-1986; Board Member, Florida Arts Community Enrichment (1995-2003). Administrative Adjudication," Florida Administrative Practice, Rev. 1981, 1990, 1993, Co-author; "Attorneys' Fees and Costs Awards," Florida Administrative Practice, 1993; "Formal Hearings Under Florida's Human Rights Act," Florida Bar Journal, October 1989; "Exhaustion of Administrative Remedies in Florida," Florida Bar Journal, June 1989, Co-author; "Highlights of the New DOAH Rules," Florida Bar Journal, March 1986, Co-author; "Retroactivity in Licensing Cases," Florida Bar Journal, June 1985; "Search and Seizure: Procedures, Suppression Motions and Appellate Review," Florida Bar Journal, October 1975; "Criteria in Civil Commitment Proceedings," University of Miami Law Review, 1973.